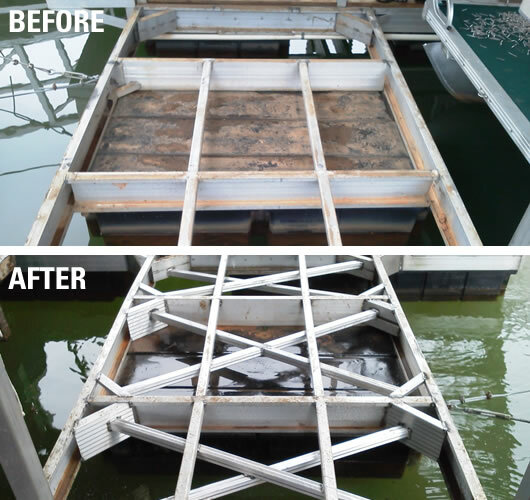 Custom Dock Systems provides quality Dock Repairs, Restoration, and Refurbishing services and can transform your dock to new condition by painting, re-floating and re-decking your boat dock or lift structure. Custom Dock Systems, Inc. is here for all your docking needs. With thousands of our private docks built over the last 40+ years we are now seeing an increased interest in refurbishing older docks. Because these docks are so structurally sound, they warrant the cost of refurbishing. 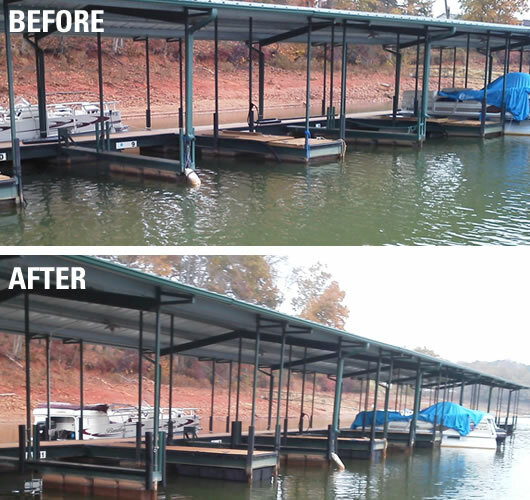 Custom Dock Systems, Inc. can transform your dock to new condition by painting, re-floating and re-decking. We offer an array of decking options that are maintenance free and do not split or splinter like the older treated wood. 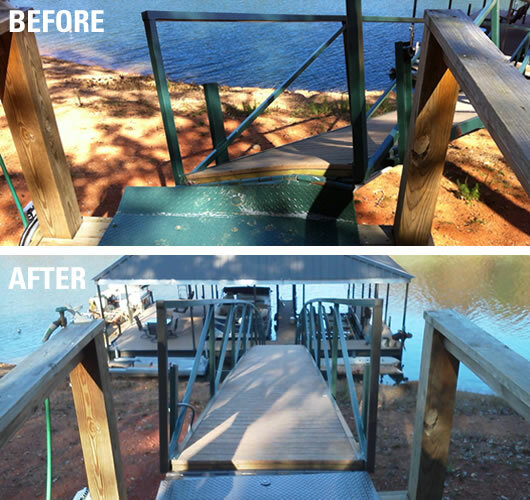 Whether your dock just needs a few updates or total refurbishing, we can help. If you are a do it yourself person, we can offer all the materials needed and even throw in expert advice. Call ahead, or walk right in, and any of our team members will be happy to help you resolve your current problem. We have grown to be one of the biggest marine contractors in the southeast and pride ourselves on continuing to provide the up-most level of customer service. 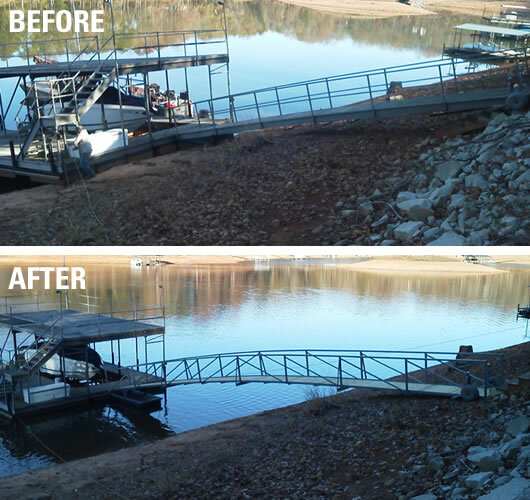 Whatever it takes to make your dock look new, contact one of our professionals today at 800.706.7397 or email us and let us be your one stop for all your docking needs.